It’s weird writing about the death Stephen Hawking, but I felt like I need to, just to honor his life and work. This is a man who at the age of 21 was given the prognosis of only two more years of life. With that proclamation, Dr. Hawking went on to live over 50 more years, changing our understanding of the universe. 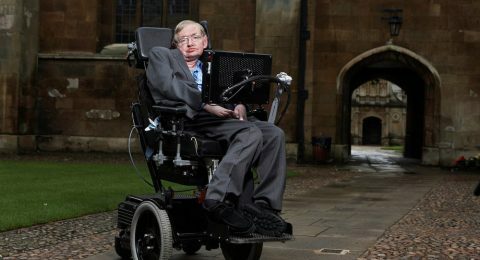 I loved hearing stories of his humor and wit, one of my favorite scenes in The Theory of Everything when he is in his wheelchair pretending to be a Dalek and “shouting” EXTERMINATE as he chases one of his kids. Dr. Hawking not only ruled academia, but he also had several roles in TV shows and movies. In the past few years, he had several guest spots on The Big Bang Theory. My favorite scene is when Sheldon drunk dials Dr. Hawking.